Shaker Run is Hiring for our Upcoming Season! For immediate consideration send you resume to Jamie Grant at jgrant@shakerrungolfclub.com or stop by the clubhouse to complete an application. The golf course plays so much shorter in May than it does in March. PONTE VEDRA BEACH, Fla. — A year ago, Tiger Woods hit 3-iron, 9-iron into the 18th green at TPC Sawgrass during the final round of the Players Championship. Tuesday morning, it was 3-wood, 3-iron. He wasn’t the only one to notice a significant difference. On the 450-yard seventh, Billy Horschel used to attack the par 4 with a driver or 3-wood and a wedge. This year, he’s hitting 5-iron into the green. It has been more than a decade—2006 to be precise—since the Players Championship has been contested in March. Woods’ club choice on the final hole (as well as area resident Horschel’s) perhaps best sums up the biggest difference between the PGA Tour’s flagship event being played later in the spring versus now. Those aren’t the only differences, however. For one, the appearance of Pete Dye’s masterpiece is vastly different, with a heavy rye overseed giving the 7,189-yard track a lush, dark green look. It’s more than just an aesthetic. There’s a benefit for a venue that demands target golf. And about that grass, the rough off the fairway is also only about 2½-inches long. Thick, yes, but with the tightness of a hair brush, meaning there should be far fewer hack-it-out-and-hope second shots and more creativity and playability. Translation: Potential for better scoring opportunities. On the flip side, wayward tee shots are more likely to run off into the pine straw and scrub rather than getting snagged by deep rough. Around the green, things are even more telling. In May, temperatures routinely reached into the 90s and in some years the greens were burnt to the extent of being nearly unplayable. The course played firm, fast and bouncy. This week, the forecast is calling for highs in the mid-70s for the first two rounds, with that number dipping into the mid 60s on the weekend. Wind will also be a factor—breezes out of the north will make the course play that much longer, something that could be particularly impactful on the final two holes, the par-3 17th over water and the 462-yard 18th that features water up the entire left side. https://i1.wp.com/www.shakerrungolfclub.com/wp-content/uploads/2018/09/2018-09-11_1142.png?fit=500%2C300&ssl=1 300 500 Teesnap Developer https://www.shakerrungolfclub.com//wp-content/uploads/2017/11/Shaker-Run_2-color-retro-1.png Teesnap Developer2019-03-13 16:06:102019-03-13 16:34:40The golf course plays so much shorter in May than it does in March. 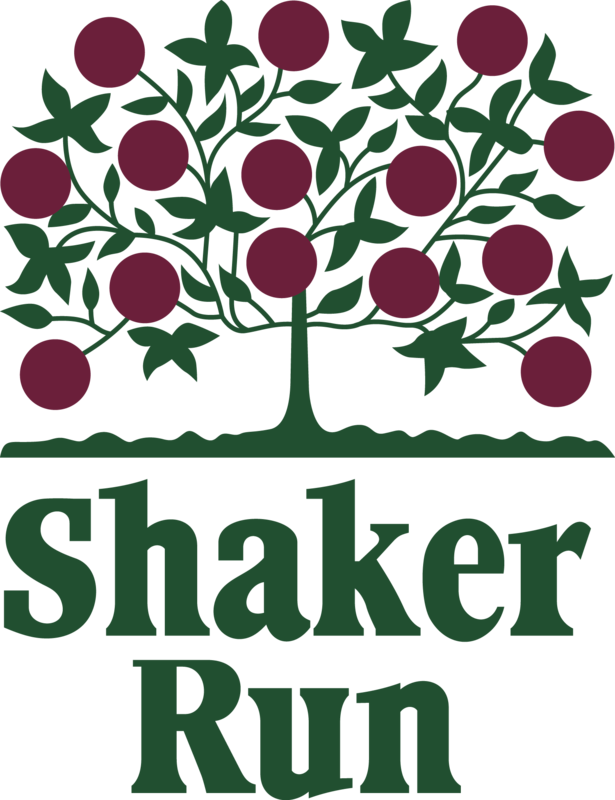 Join Shaker Run for the 2019 Season – Many options just for you! Membership is Active for One Calendar Year from Date Application is Accepted & Payment is Received. You, your spouse, & dependents 23 & under receive 10% off Food Only inside The Grille @ 1320. No Food & Beverage Minimums. 5% off Apparel inside the Golf Shop. Guests receive $5.00 off Nine Hole Greens Fee & $10.00 off Eighteen Hole Greens Fee. Advanced Registration / Discounted Pricing for Club Social Events & Tournaments. Membership is Restricted to anytime Monday – Friday. 27 Hole Championship Golf Course, Previously Hailed as One of the “Top 100” Golf Courses in America. Membership is Inclusive of Practice Facility, Locker, and USGA GHIN Handicap Service. Advanced Registration / Discounted Pricing to Club Social Events & Tournaments. LIMITED TIME OFFER • ACT NOW! Designees will have full membership privileges to the club. Any accompanied or unaccompanied guest fees, cart fees as well as food & beverage, gratuities, and merchandise will be deducted from the account at time of use. Greens & Cart Fees will be deducted at advertised rates for that specific time on our Tee Sheet. *Please note that only a Designee has access to setup a starting time and is responsible for directing the utilization of the account funds. Book starting times through the golf shop 17 days in advance. Prepaid Cart Fees for the year included for Each Designee. Waived Room Rental Charges for golf events. Half off room rental rates for corporate meetings Monday through Friday. 10% Off Food only for Each Designee inside Grille @ 1320. 5% Off Apparel only for Each Designee inside the Golf Shop. Quarterly Social Media Post thanking you for being a Corporate Partner of Shaker Run. Advanced Registration on club Social Events / Club Tournaments. Discounted pricing on Special Events hosted by Shaker Run. All Corporate Partners will be recognized on a plaque within the renovated Club House. All Corporate Partners will be recognized on our website. Platinum Partners will be recognized on a Tee Box of their preference on one (1) available hole # 2 – 9 (Woodlands, Lakeside or Meadows). Each Partnership is valid for a calendar year from the date of payment and must be paid in full. Designees either inclusive of the level selected or those who are added must be identified to Shaker Run upon the time of registration. Additional Designees may not be added until time of renewal and are subject to employment verification. Partners are permitted to roll over a maximum of 10% of their funds annually, and would then be required to pay the difference plus any additional Designee fees to bring their account balance up to the appropriate level to start the next annual partnership cycle. Any unused funds are forfeited upon renewal date if you choose not to renew. https://i0.wp.com/www.shakerrungolfclub.com/wp-content/uploads/2018/11/2019-Memberships-blog-banner-SR.png?fit=560%2C315&ssl=1 315 560 Teesnap Developer https://www.shakerrungolfclub.com//wp-content/uploads/2017/11/Shaker-Run_2-color-retro-1.png Teesnap Developer2019-03-12 13:04:402019-03-11 17:15:22Join Shaker Run for the 2019 Season - Many options just for you!